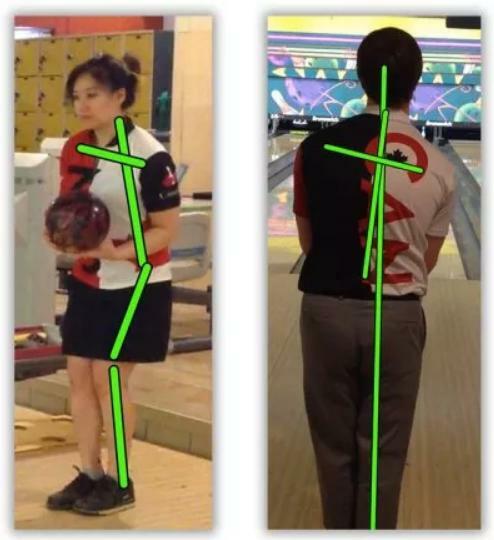 Bowling tips: How to find the right posture for your bowling game? When it comes to the technical side of bowling, the release and the armswing are the glamorous pieces that everyone wants to look good, the footwork is the workhorse that people recognize as being very important, and the core and posture are often the black sheep. 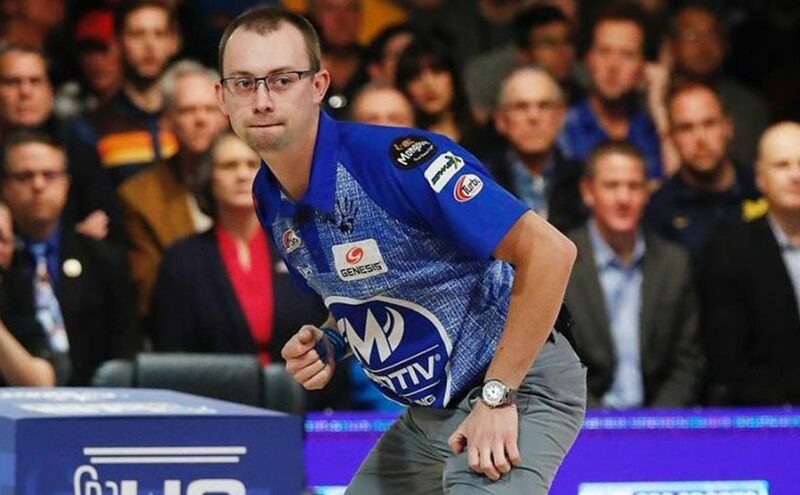 Since this is also the element that seems to vary most among professional and world-class bowlers, it’s hard to really pinpoint what constitutes good posture. Many people assume that good footwork and a good swing are all you really need, but your posture and the use of your core are essential parts of being efficient and effective in your delivery. Many of my articles refer to being efficient in creating and transferring energy to the ball. Your core is a key part of this process. If you think of the energy you are generating during your approach as a train, there is a point at which the energy has to switch tracks from your legs to your arms. Your core is the switch. If the switch isn’t working, the train’s energy gets stopped abruptly, resulting in a derailment. In the case of a human energy derailment, the result is usually some kind of injury in the joints (often the hip or lower back), because that energy has to be absorbed somewhere if it fails to continue through to the arm and into the ball. your body type and overall strength. Your size and strength will impact how much you really need to open up your core in order to generate power. Rotating your core a full 90 degrees so that your shoulders are parallel to the boards is essentially considered the ideal. What is commonly known as the “T position” is considered to be the best position to create maximum power, but it might not be necessary depending on how much you can generate without it. Taller and stronger bowlers can get away with less core rotation, while smaller bowlers with smaller frames generally want to have more core rotation to maximize the energy they are creating. Bowlers who have less flexibility in the shoulders will also need more core rotation in order to get their backswing higher. But, bowlers with great flexibility—or those who don’t swing the ball as high—will use less core rotation. Either way, you need proper posture to transfer that energy to the ball. This essentially amounts to keeping your spine straight and without excessive tilt forward. This forward tilt is what I refer to as postural stability, and it’s one of the first things I look for in analyzing a bowler’s game. Once again, your level of stability affects how efficient you are, but it can also change based on your game. The best known two-hander on the planet is Jason Belmonte. He is what I’d refer to as being unstable with his posture. His spine goes from being almost vertical at the start position, to almost horizontal into his “skip step,” and back up to about 60 degrees in his finish position. As a rule, two-handers are very unstable with their posture. This is simply a function of their swings. Keeping two hands on the ball means you need to bend forward more, so most two-handers tend to have their spine more forward during their power step than most one-handers. This also helps them create more energy by exploding forward with their hips, driving their posture up into the slide position. It’s one more powerful element of their game. They can also get away with this because of their relatively short swings. 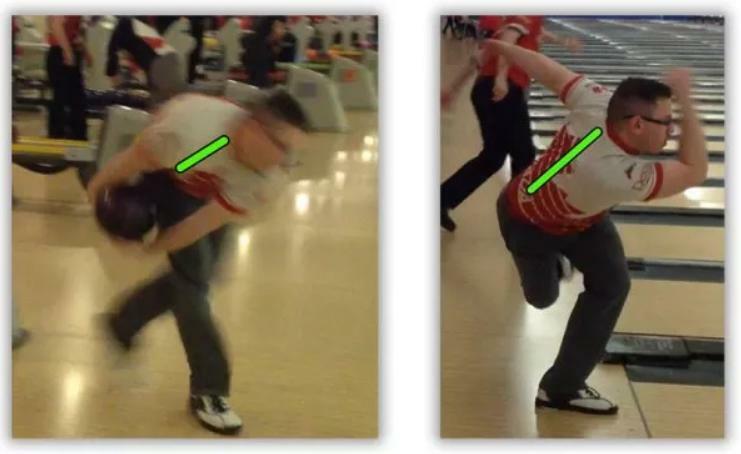 Two-handed bowler Zach Wilkins demonstrating the large amount of forward spine tilt employed by most two-handers during the power step. During a two-hander’s swing, their center of gravity (CG) barely moves. The 15 pound bowling ball usually moves no more than 18 inches from their body’s natural CG (around the belly button). As a result, they are very stable from a balance point of view. This balance allows them to have a much more dynamic posture and explosive movement without adversely affecting their swing. Next, we can look at almost any bowler that has a very high backswing and examine their posture. An example of such a bowler is former PBA star Dan MacLelland. Having worked with him a lot over the years, it’s easy to remember his posture as being very stable. From his second step to his slide, his forward spine tilt barely changes, and he never gets more forward than he is at his release. Dan MacLelland, a conventional one-handed bowler with a very high backswing, has very stable posture, with his spine tilt remaining almost constant from his second step until his slide. His maximum forward spine tilt occurs during the release. From a consistency point of view, this makes sense. His 15 pound bowling ball travels almost directly over his head, which is about 4 feet from his natural CG. This creates a massive amount of potential imbalance, so in order to have consistent execution, the hinge point(s) must remain stable. If his hips moved as much as a two-hander’s, it would be much more difficult for him to keep his downswing on-line. Most bowlers fall somewhere in between these two extremes. Bowlers like a young Pete Weber come to mind when we think of high backswings and lots of forward spine tilt, but this was in the days of urethane. His posture and swing have changed significantly over time to fall into the mid-ranges for both swing height and postural stability. There a few general rules that bowlers should follow in their start position in order to help set them on the right path for an efficient and safe posture. Beyond that, it will depend the type of game you have, so we’ll look a few potential examples. Knees slightly bent: The toes, knees, hips, and shoulders should all pointing the same direction: your intended launch angle. Slight forward bend at the hips: The weight should be on the balls of your feet, the spine should remain straight, and there should be no curve or “hunch” to create the forward position. Shoulders back: The shoulders and clavicle (or chest in general) should be in a straight line. 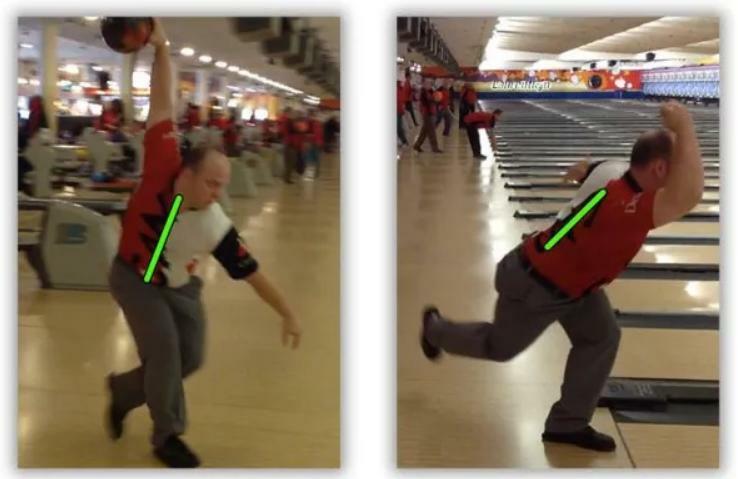 Many bowlers start with their shoulders hunched forward, creating a “U” shape from one shoulder to the other. Bowling shoulder should be lower than the non-bowling shoulder: Exactly how much depends on your body shape, but the bowling shoulder should generally be at least 2 inches lower. The spine must remain straight and the shoulders must remain at 90 degrees when doing this, so there shouldn’t be a curve in the upper spine to “drop” the shoulder. Safe and efficient posture in the approach begins by using proper posture in the start position. These guidelines will get you set for having a good posture from the start. Beyond these basics, the rest will be personal to the bowler. Some people will argue about specific weight distributions, exactly how and where to hold the ball, etc., but I prefer to adapt those details to the specific bowler and what they are trying to accomplish. Try to keep the following general thoughts in mind when considering if your posture needs work. Am I in any pain? Pain of any kind is your body’s way of telling you something is wrong. Inefficient energy transfer from the legs to the arm will generally result in hip or back pain, but it might also manifest in the knee or shoulder. If you feel hip or back pain, check the posture first. It could be that you are too far forward, putting too much strain in those areas. How high is (or, how high do I want) my backswing? Higher backswings require less variation in your forward spine tilt. Make sure that they match up. If your swing is above your head, you want to make sure your spine tilt is most forward at release (like Dan MacLelland from above). An easy way to judge this is by paying attention to your head height. If it gets too low, you are bending forward too much. On the other hand, if your swing is head height or lower, you can probably get away with a little more forward tilt, as long as you drive the hips forward through the slide like a two-hander (just don’t lean that far forward). This creates a “pop up” kind of look in the upper body, but if the knee has good continuation and hips are driving forward, it will help generate more power like a two-hander. The key is driving the hips forward and keeping them down, not driving them up. If you have good range of motion in your shoulder, you will not need as much core torsion to create the same backswing as a bowler that isn’t as flexible. Bowlers with relatively weaker cores will want to use less core torsion, as well. They should generate power with foot speed and work on improving core strength before trying to implement a “T position,” because they will have a hard time opening and closing their body fast enough. Previous Previous post: Bowling tips: Why you should free your arm swing when bowling? Next Next post: Bowling tips: How far should you slide?